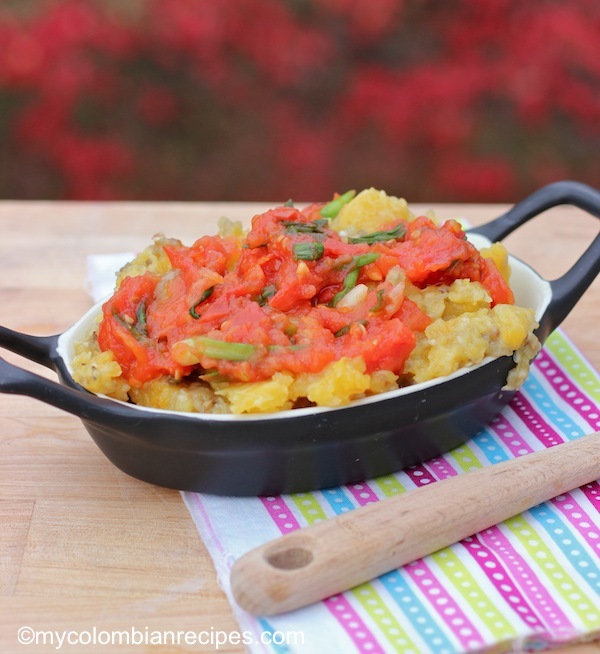 Boronía is comprised of mashed eggplant and ripe plantains. 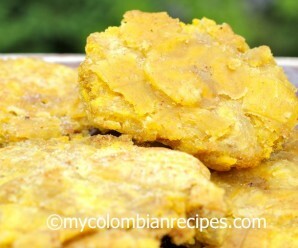 This is traditional dish ftrom the Atlantic coast of Colombia and it’s served as a side. I also like to serve it as a dip with pita chips but you can serve it either way, but do serve warm. 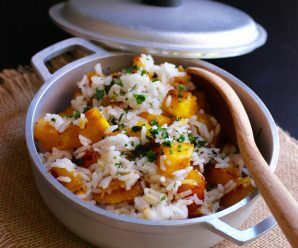 Place the eggplant and plantain in a baking dish and drizzle with olive oil. Bake for 25 minutes. Meanwhile, in a medium skillet, heat the vegetable oil over medium heat. Add the tomato, onion, garlic, salt and pepper and cook stirring occasionally for 10 minutes. Set aside. Place the eggplant and plantains in a food processor until they are combined, being careful not to over-process. The two ingredients only need to be blended together, not completely pureed. Transfer eggplant and plantain mixture to a bowl. Add the guiso or tomato mixture and mozzarella cheese and mix well. Spoon to a serving bowl. How fascinating! 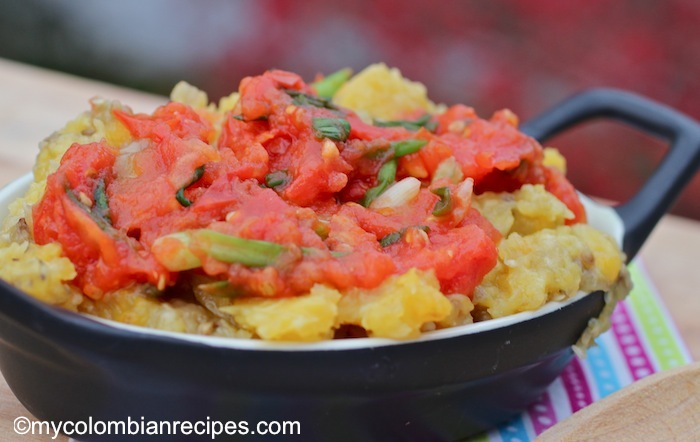 I would have never put eggplant and plantain together, but yum! This looks seriously delicious. 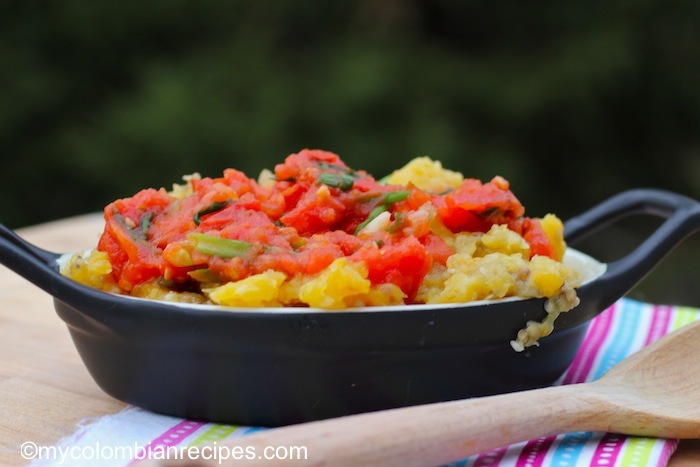 The eggplant plantain is an awesome combo! The eggplant- plantain dip is just great. Much like a dish I make. But this one has got layers of flavor to it! will surely make it! I made this for my family and friends and it was wonderful. They loved it. I served it warm. 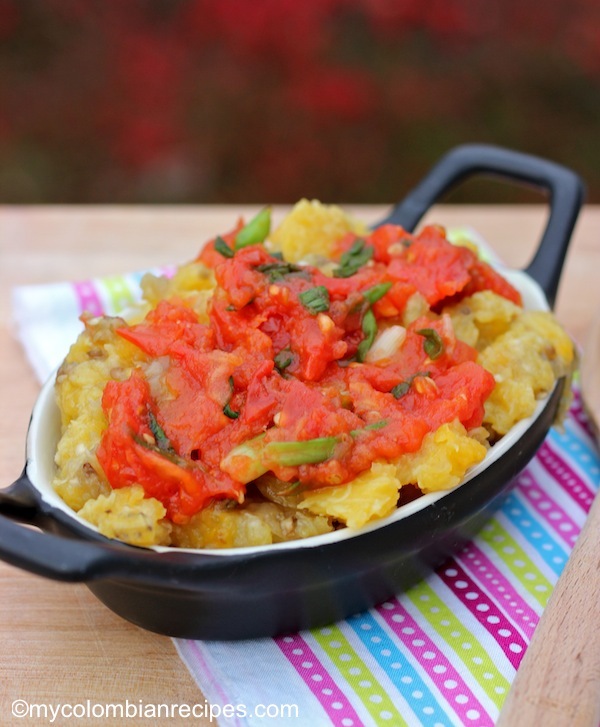 The combination of eggplant and plantain is totally new to me and I love how delicious it turned out, Erica. what a wonderful dish! i can see myself eating this with many different types of things and it’d enhance every single one! Oh this looks great! 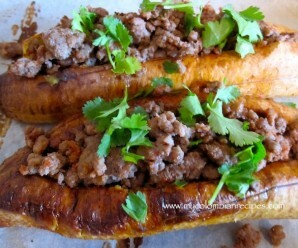 Never tried plantains and eggplant together. 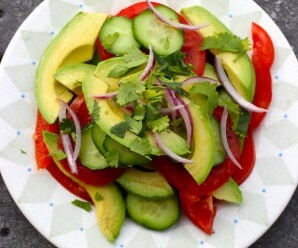 And love hos it is a side dish and can be a dip. Bookmarked. Did it today and it was sooo delicious! Thank you! What is Guiso? Had a google and it came up with stew of tomato, scallions cumin and beef?